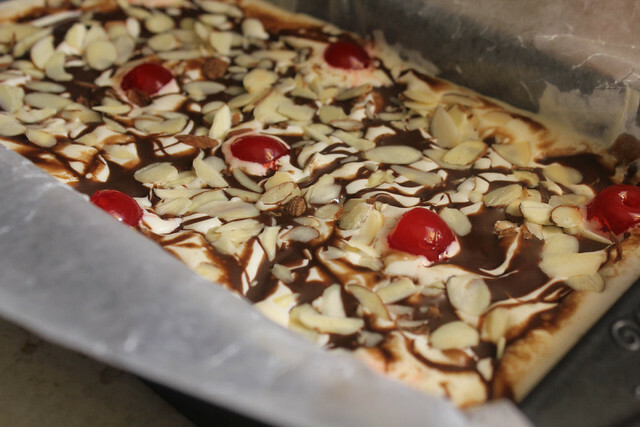 Growing up, this was one of our favorite desserts. I still remember going to the grocery store in South Africa with my stepmom and picking out which one I wanted. OR, we would get it as dessert at the restaurant. 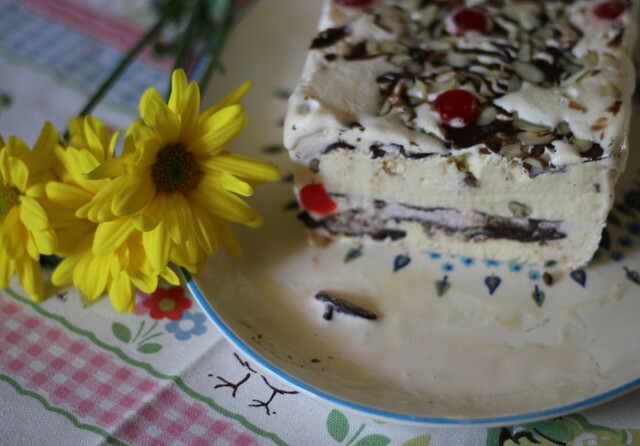 Have always loved this ice cream dessert, so after moving to the States I couldn't find it anywhere and realized that I would have to make it myself. I make it the same way, the only difference is that I usually make a chocolate ganache but Southern Plate uses Magic Shell. SO much easier. So I'm going to show you how I made mine. 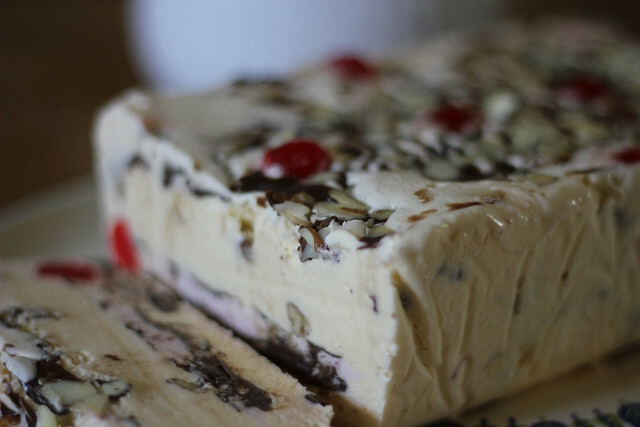 It's perfect to use up those tubs of ice cream with leftover scoops that no one seems to eat. 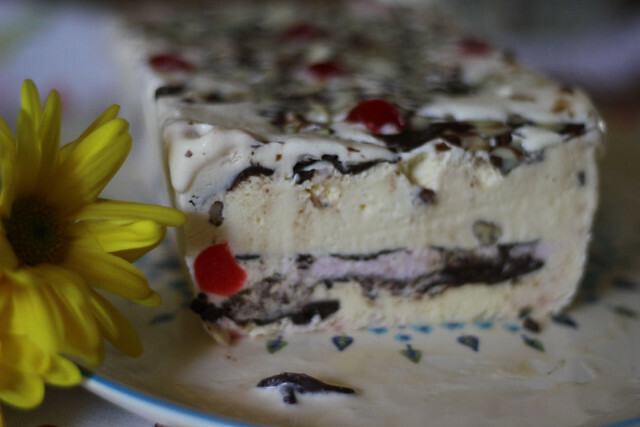 The beauty of this dessert is that you can change it up, use whatever ice cream flavors you want, whatever magic shell or chocolate ganache or whatever. You can use nuts, you can use fruit etc. 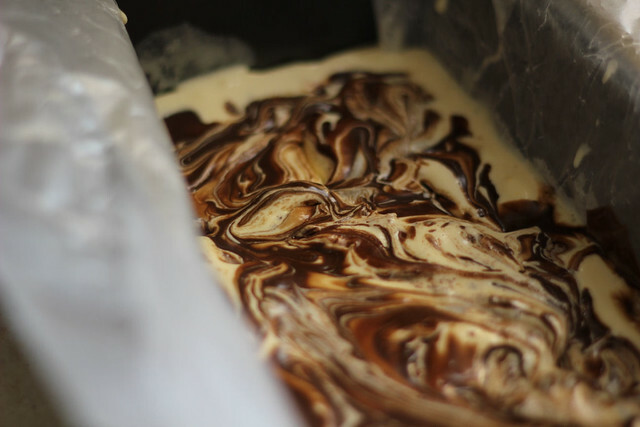 First thing, you're going to line a loaf pan with wax paper so that it will be easier to remove once it's set. Take the first ice cream, make sure you've let it sit out for a bit until it's soft serve. Add your first layer. I don't measure, I don't have specific amounts to give you, just add as much as you want the first layer to have. Spread nicely. 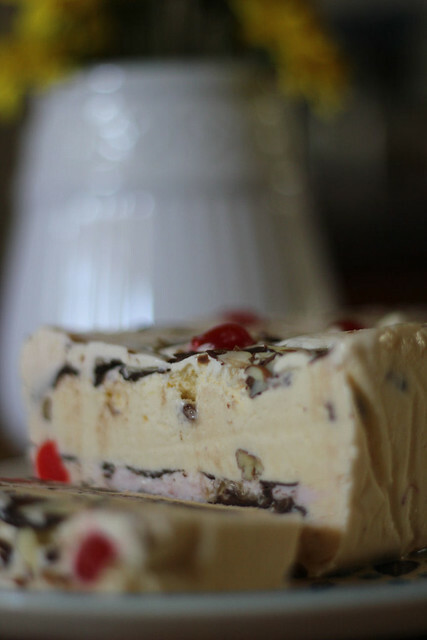 Take a fork and make some grooves on the ice cream, then pour on some magic shell. I used Chocolate for the first layer. Let the magic shell set, it takes but a few seconds. 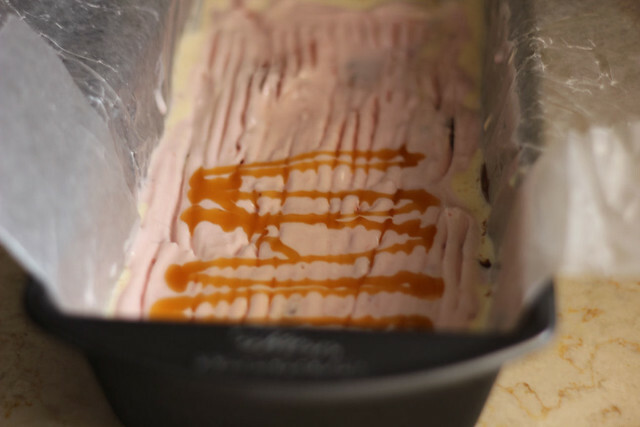 Then add your next layer of ice cream, I wanted to use up a bit that was left of the strawberry, so that is what I added, spread it over the chocolate shell. 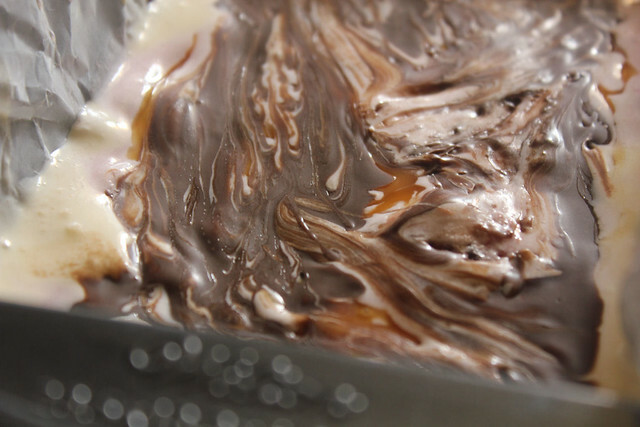 Again make some grooves with a fork, and pour on another magic shell flavor. This time I actually used caramel. Let it set again, then next goes on the next ice cream flavor. I am using what I have on hand, so it was Butter Pecan. (if you get different colored ice cream, it looks even better, you get the idea). Again, grooves and more magic shell, I went back to the chocolate. I finished off with some Sweet and Salty Pretzel Ice cream, another layer of caramel, followed by some chocolate shell, and some slivered almonds. I topped it with some maraschino cherries. 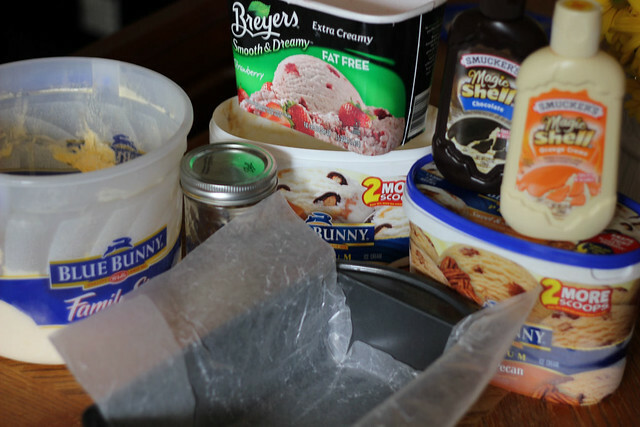 Cover with some plastic wrap or foil and pop into the freezer until the ice cream is completely set. Once ready to serve, remove it from the freezer, let it sit for a minute or so, then using the wax paper, remove from the pan. Slice and serve. If there is any leftover, I usually just wrap in Cling Wrap or Foil and pop back in the freezer. This looks amazing not to mention perfect for a family dinner in the summer. Yum. We can find these on the east coast, but homemade is better! I could use the fresh cherries I have right now and chopped almonds...now I need an excuse to make one! Thanks so much for the instructions! Pensei que este fosse um fenómeno português :). Afinal é transfronteiriço. Parabéns pelos blogs. Já a sigo há alguns anos e gosto muito de ler as suas novidades. Um abraço de Portugal!